RJD is a quarry operating and mineral producing company, with experience operating sand, gravel and limestone quarries. The company also specialises in the construction of agricultural reservoirs where these can be excavated in mineral bearing land. 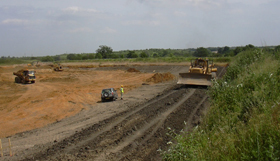 It holds a 50% share in Ingrebourne Valley Ltd (www.ingrebournevalley.co.uk), a company specialising in land reclamation and restoring old quarries. RJD's current reservoir construction projects will generate 1 M tonnes of sand and gravel, which is being washed and screened through on site processing plants. The company has a number of other projects in the pipeline, including further reservoirs and other substantial mineral reserves. Through the expertise of its Directors and staff RJD is able to handle every aspect of mineral exploitation, from the initial geological survey through the submission of the planning application to commercial development of the site and final restoration. Traditionally, minerals from reservoir sites have been extracted and delivered to off site adjacent quarries. RJD has undertaken many of these projects and delivered minerals to some of the country’s major construction material suppliers. With increasing emphasis on reducing carbon footprints, however, county planning authorities are more disposed to granting permission for processing on reservoir sites. RJD has operated various types of sand and gravel quarries and our employees have many years of experience in the industry. RJD is ideally suited to provide landowners with a complete one stop service, whether for reservoir construction or the development of a mineral resource. 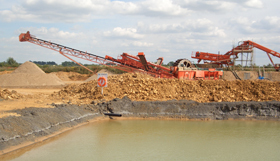 For more information on RJD’s reservoir construction and mineral resource services, please call us on 01279 421456 or email.